CREDIT RATER MOODY’S assigned the European Stability Mechanism, Europe’s new emergency fund, a triple-A rating this evening – but gave it with a negative outlook. Moody’s cited the ESM’s expected low leverage, the credit-worthiness of the eurozone countries behind the ESM, and the fund’s preferred creditor status in giving it a top Aaa grade. But Moody’s assigned its negative outlook to the €500 billion permanent bailout fund, putting it on an equal level with the ratings of all but one of the Aaa-rated eurozone countries, also listed with negative outlooks. Moody’s warned that the deterioration of the credit-worthiness of euro member states could pull down the ESM’s rating. “A weakening in the political commitment among euro area member states to the ESM could have negative rating implications,” Moody’s added. The fund was initially due to enter service on 1 July but, was delayed by a challenge at the German Constitutional Court. 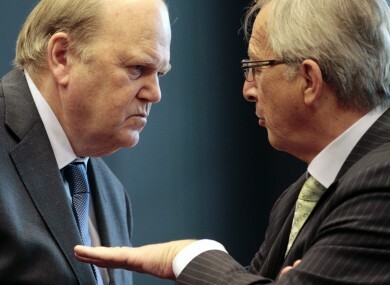 It will initially hold €200 billion when the first installments of government capital are paid by the end of the month. Email “Moody's give new ESM an AAA rating - but outlook is negative”. Feedback on “Moody's give new ESM an AAA rating - but outlook is negative”.